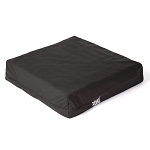 The Roho Harmony Cushion from IndeMedical.com is a lightweight cushioning solution that provides an individual with a stable seating solution. 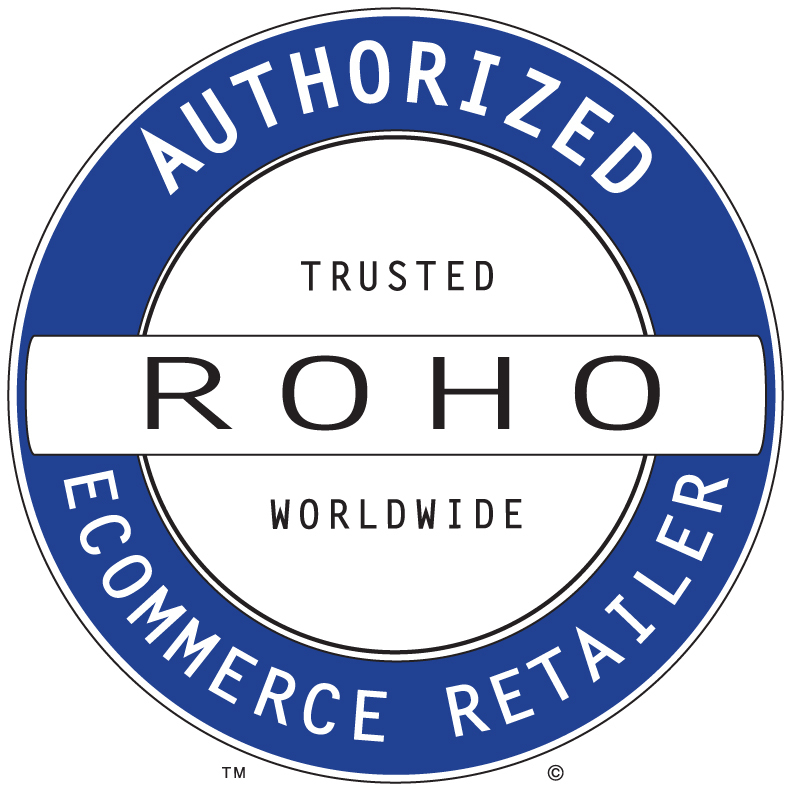 By combining a lightweight and comfortable Roho Air Flotation Cushion Overlay with a contoured foam base, encased within a moisture resistant cover, you can maximize abilities, independence and freedom without the worry of adding unnecessary weight to your wheelchair. 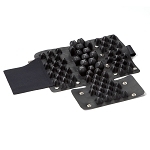 Lightweight: Don’t limit function with a heavy wheelchair cushion. Consumers will spend thousands of dollars to shave a few pounds off of a wheelchair, and then disregard how the cushion impacts the weight of the entire mobility system. A heavy mobility system can limit function and increase the potential of long-term shoulder damage. 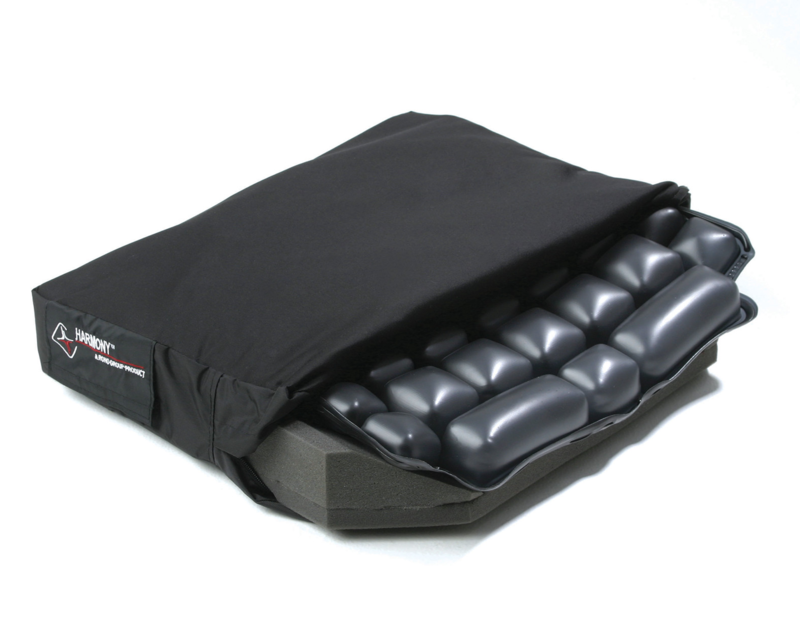 At a lean 1.25 lbs (0.6 kg), the Harmony Cushion adds minimal weight to the entire mobility solution. Stability: Stability builds a foundation of function. If the wheelchair user is struggling to achieve balance or stability, they may have difficulty achieving functional goals. 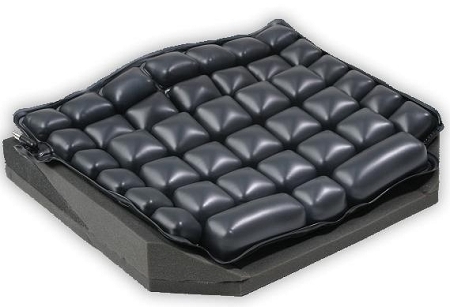 The Harmony cushion is built on an anatomically shaped, foam platform that enhances the user’s seated stability and helps them maximize their functional potential. Comfort: Many times comfort is dismissed as a luxury, but comfort and function go hand in hand. The Harmony includes a ROHO AIR FLOATATION Cushion Overlay positioned over the contoured foam base that provides a shape fitting interface, reducing discomfort through enhanced blood flow and achieving longer sitting times. Sizes: Wide range, to fit chairs 14" x 16" / 35.5 cm x 40.5 cm thru 20" x 18" / 51 cm x 45.5 cm.